Located near Vilnius, the capital of Lithuania, a member-state of European Union and NATO. This 3M IT 826 rack facility is scalable to 1652 racks and is owned by SatGate Group (www.satgate.net), an experienced teleport operator and data center developer serving Fortune Global 500 clients. Lower corporation tax rate than the Nordic countries (15% corporation tax rate in Lithuania). Thanks to new NordBalt power connections energy price similar to prices found in the Nordic countries (among the cheapest green power in Europe) . Data transit country between Western Europe, CIS and Scandinavia. Major TIER I ISP’s POP’s presence are available. There are currently five cross-border links to Lithuania, providing energy security; Sweden (700MW), Poland (500MW), Latvia (241MW), Kaliningrad (241MW), Belarus (466MW). The two new links completed in 2015 helped to highly increase national power grid redundancy. 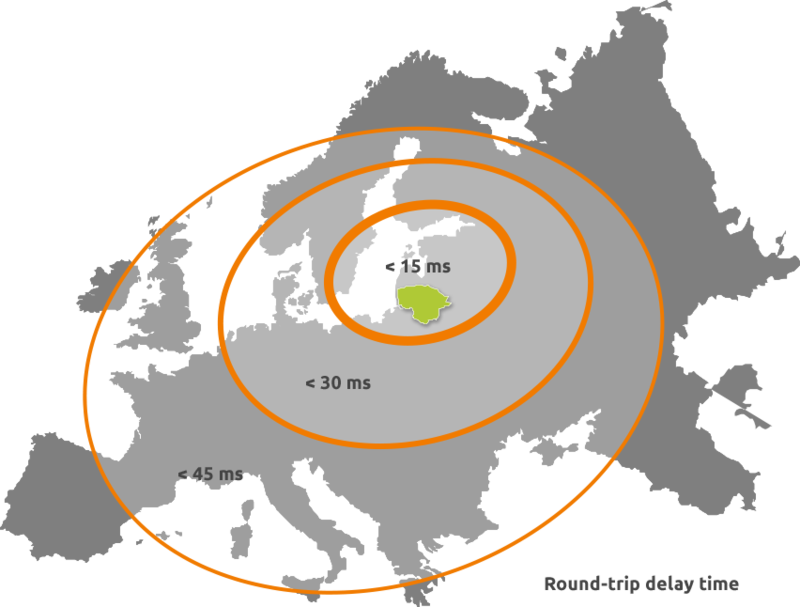 The first of these is Nordbalt, a new 400kV High Voltage Direct Current submarine cable between Klaipeda, Lithuania, and Nybro, Sweden. The cable provides 700MW of green power. The second of the new connections is a 400kV HVDC overhead transmission link from Elk, Poland, to Alytus, Lithuania, which provides 500MW power. With the completion of these two new links there is now sufficient power connections to Western Europe to balance or even replace the requirement for Russian and Belorussian power imports. A member of the European Union, NATO and the World Trade Organization.